Although a year and a half has passed since Superstorm Sandy struck the tri-state area, many New Jersey communities are still struggling with the aftermath. Approximately $1 billion in severe damage was caused by the storm to uninsured privately owned homes in the state. 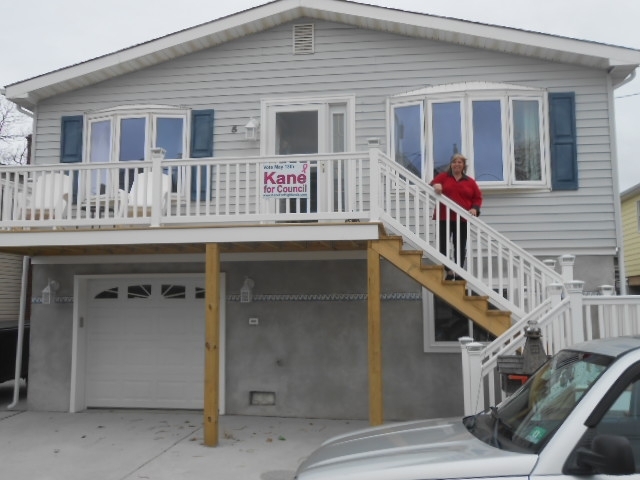 On October 29th, the one year anniversary of Sandy, Governor Chris Christie stated that only half of the damaged homes have been repaired. “We’re about halfway there,” Christie said. “We all have to acknowledge that there are still thousands of people out of their homes.” According to news reports, New Jersey residents experienced longer wait times than those in other states for much-needed federal aid to help them rebuild. CareOne Management LLC, A Senior Care Company, operates multiple skilled nursing and assisted living facilities in affected areas. While the facilities did not sustain major damage, many CareOne employees lost their homes. To assist employees with their rebuilding efforts, CareOne launched a Disaster Relief Fund and hosted a 2012 fundraiser which raised more than $1 million for the Fund. Under the direction of CEO Daniel Straus and EVP Elizabeth Straus, the CareOne Disaster Relief Fund distributed grants to more than 64 employees who lost their homes, cars, furniture, clothing, and other personal property in the storm, enabling them to begin the rebuilding process immediately while their neighbors await federal aid. “It was sobering to see the many hardships our employees had to endure because of Superstorm Sandy, and makes even more meaningful the fact that in the immediate aftermath of the storm, those impacted still made our patients their top priority,” said Daniel Straus.